They say that the early purchaser catches the exclusive DLC. This is certainly the case with Microsoft's collection of Day One Editions for the Xbox One. Incorporated will be exclusive extras, in the case of Ryse: Son of Rome these include an additional co-op map. 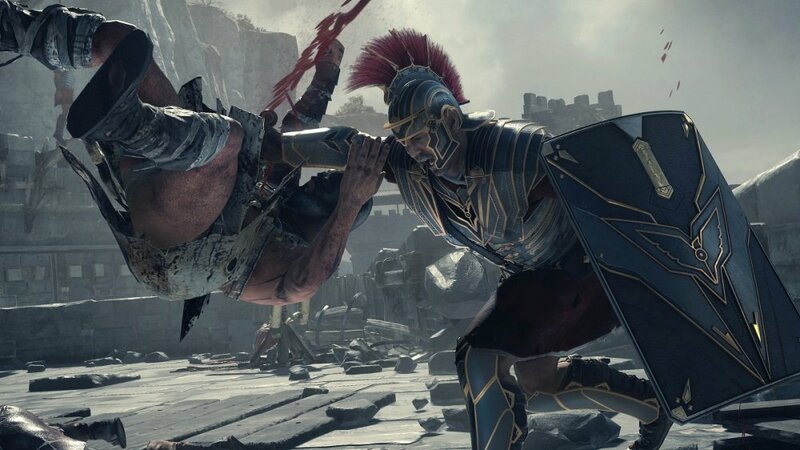 The Gladiator mode in Ryse is a 2 player online co-op affair that sees you and a partner battle enemies for as long as you can. If you are thinking that not enough people will have the game to find an ally on this co-op map, fear not as owners of the map can invite a non-owners into their game. Exclusive Gladiator Mode Unlockables: The Day One Edition of Ryse: Son of Rome will give players access to an exclusive Gladiator Mode Co-Op Multiplayer Map and an exclusive Sword add-on. Owners of the Day One Edition will be able to invite friends who own the Standard Edition to join them on the exclusive map. Dead Rising Tribute Pack featuring exclusive game content and bonus attribute perks. Three-car pack features Lamborghini, Audi, and Ford; each with a Day One-themed livery and custom tuning package created by Turn 10: 2010 Audi TT RS Coupe: Stuffed stem to stern with modern tech, the TT RS is the first TT model to carry Audi’s famed RS badge – a distinction that’s earned on the track from the moment you step on the gas.